Before you ask, yes. I’ve already sent in my entry. But… if you’ve always dreamed of living in Hollywood and writing for a program about a family dealing with a transgender person going through transition, this is for YOU! THE DEADLINE IS TONIGHT! They are, indeed, looking for a trans woman writer to join the writers’ room. 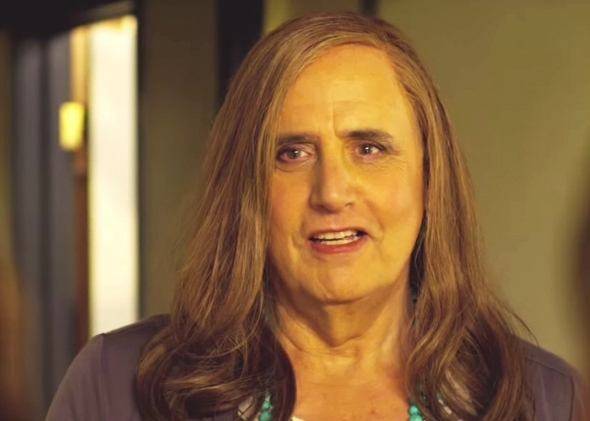 TRANSPARENT is looking for a trans woman writer to join the writing staff next season. No TV experience necessary, but you should be a self-identified writer. A love of words, comedy, story, drama and performers is a must. If you don’t live in LA, you’d need to potentially be able to relocate to LA from January to June ish, 2015. Your first step, if you’re interested, is to write a 2-3 page fictional short story about anything you like. Your story doesn’t need to be about being trans, but it can be. It should feel brutally, beautifully honest, show your sense of humor and feel like a reflection of you. It would be great if there were a protagonist or idea of a protagonist on a journey towards getting something, but not necessary. If you’re interested, please send your resume and a 3-page short story (double-spaced and as a word doc) to estigiordani@gmail.com by (TONIGHT) October 15th. Please be sure you have a separate cover sheet with your name on it and that your name doesn’t appear in the headers of the story as part of the process will involve blind submissions.